Scheduled for release in January 2007, the Ktrak rear drive track kit and ski kit convert your mountain bike into the 'ultimate all-terrain machine'. You can convert just the rear wheel to a track drive system, or also opt for the ski on the front. 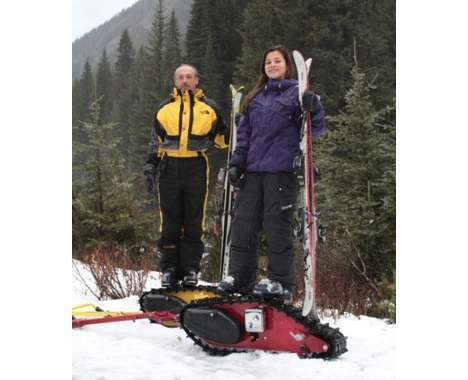 The Ktrak is designed for either snow or sand. Implications - Now cyclists won't have to put their bikes away when the winter comes. With this bike-modulating kit, virtually any bike can be ridden through snow-covered terrain. Not only does it add extra functionality and ability to your bicycle, it looks pretty badass. 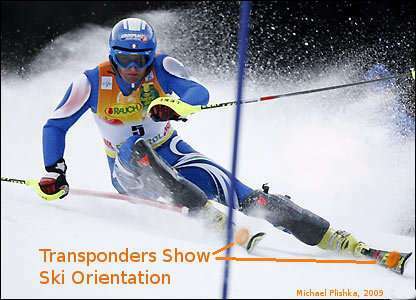 After watching it in action in the video, it is easy to imagine a new extreme sport starting because of the KTrak. Snow-BMX anyone?